It’s finally here! Darkroom 2 is a milestone release with more than 14 new features covering every area of the product, an updated design reflecting the focus and simplicity of Darkroom, and an updated brand. Grab a download hot off the presses! 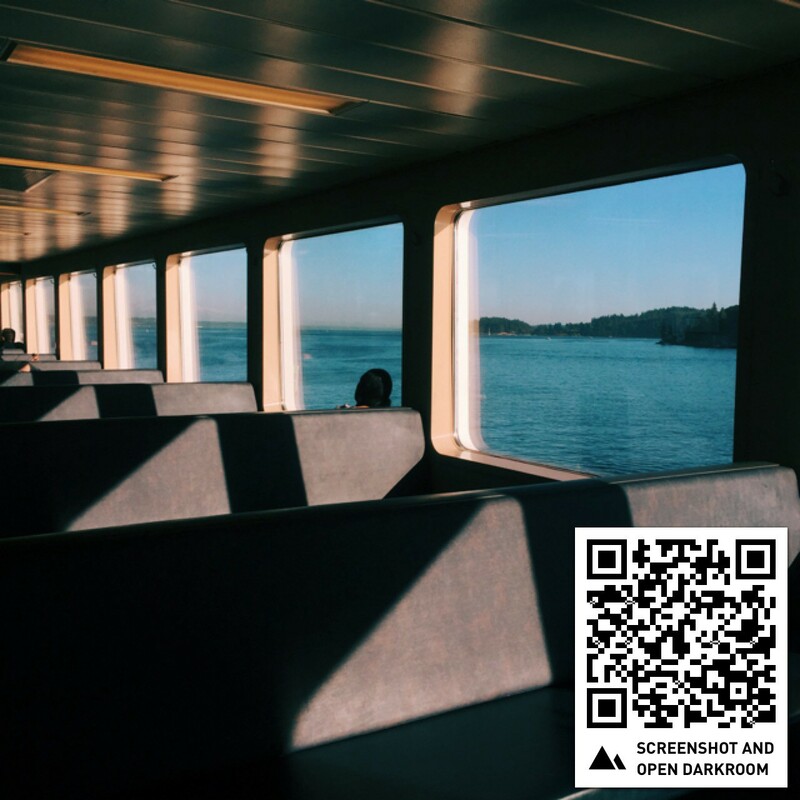 Building on the foundation and promise we laid out with our initial release and based on your invaluable feedback, Darkroom 2 is a mature, full-featured photo editor that truly brings the power of professional photo editing within the grasp of the casual mobile photographer. There’s a lot to be said, and a lot to be shown, so let’s jump in and touch on all the new goodness. 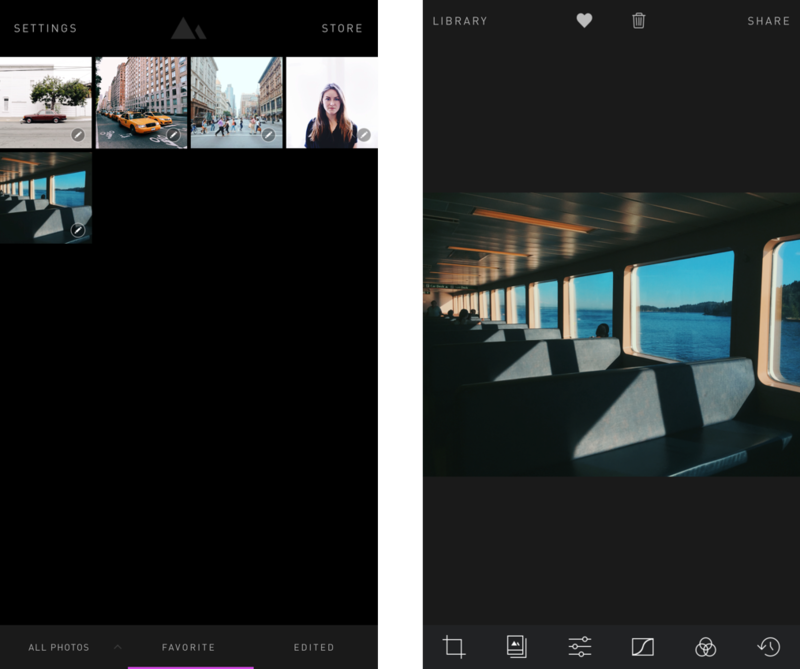 Here are the major new features of Darkroom 2. Curves, our innovative and radically easy-t0-use curve editor is joined by two new professional-grade editing tools: Color and Tone, all packaged together into a single In-App Purchase along with Filter Sharing (more on that below). Unleashing the full expressive range of desktop-grade color grading, the Color tool provides the ability to adjust the hue, saturation, and luminance of individual colors. The sky is too blue? Desaturate the blue. The grass is too yellow? Pull up the green hue. When combined with the Curves tool, filters in Darkroom take on a whole new dimension. An entire range of cross processed filters become possible, and the depth of emotion and tonality you can achieve is stunning. As a courtesy to our early supporters, photographers who purchased Curves will get the Pro Kit as an automatic and free upgrade. 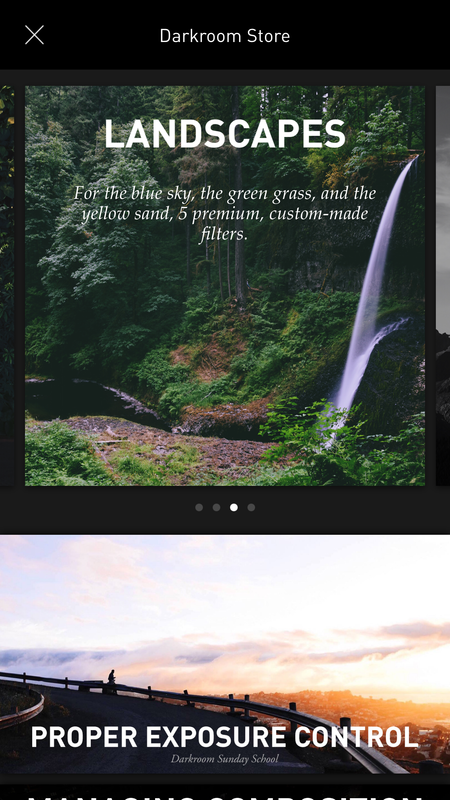 Included as part of the Pro Kit In-App Purchase, you can now share your custom filters publicly using our unique one-step install mechanism. Using an on-image code, you can share your filters to your friends and followers on Instagram, and they can install them right from within their feed by taking a screenshot. That’s it! As your filters spread, photographers will have a link back to your Instagram profile, helping you build an audience and a following. 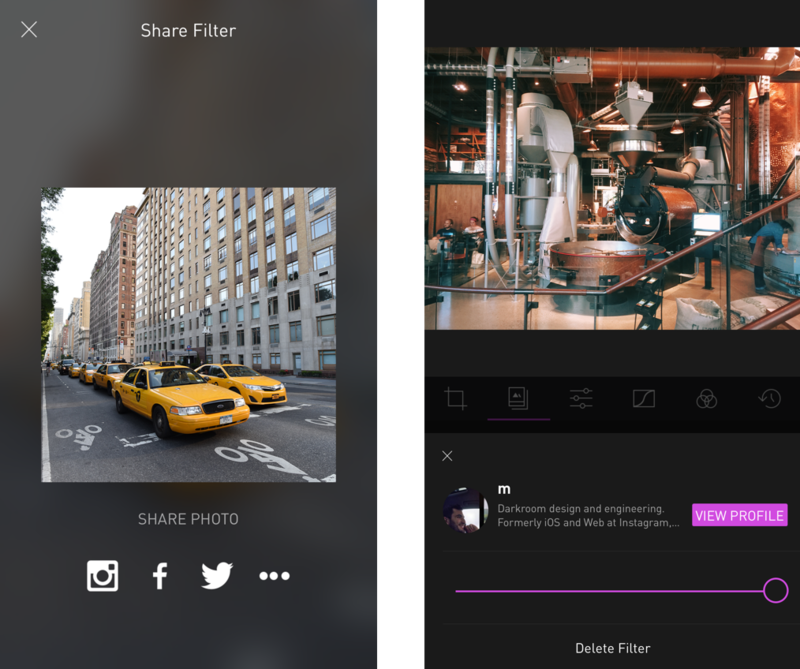 Filters Shared using Darkroom are stamped with a code that automatically installs the filter! Every week, we will feature the best shared filter, shining a spotlight on a variety of styles and techniques, building a community around a shared love of photography. Darkroom has always shipped with 12 premium filters right off the bat. These filters are all updated given the new capabilities of the Pro Kit, and they’re joined by four new premium filter packs available for purchase within the Darkroom Store. The Darkroom Store, where you can shop for Premium Filter Packs and read featured articles on photography. We spent weeks iterating on these filter packs making sure that they cover a wide range of looks and and styles, and making sure they reflect modern tastes and styles. These filter packs are named after their intended styles or use-cases. Now you can favorite and delete any photo while viewing it, helping you cut down on the clutter in your camera roll, and manage it as it grows over time. These changes are integrated to the system-wide iOS library. Alongside favoriting and deleting, we’ve introduced two new sections to the main library view: Favorites, and Edited, to help you manage and curate your photo library. Within each photo, you can now favorite and delete, and your actions are integrated into Apple’s core iOS photo library. 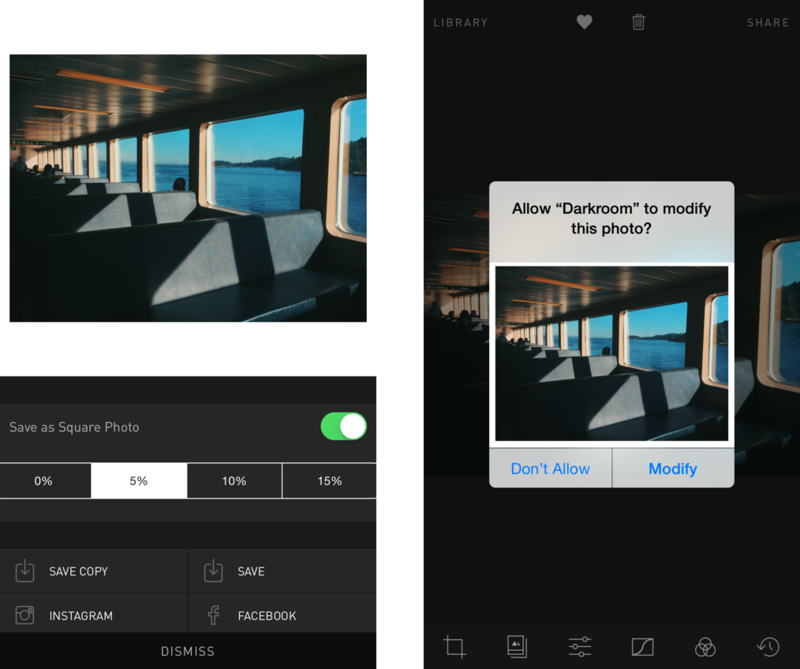 In addition, you can now Copy & Paste the edits of one photo onto another, and when sharing, you can Save the image without having a duplicate in the library. To further reduce clutter in your camera roll, Darkroom 2 adds “Save” as a new share option, overwriting the original photo in your system library, which allows you to continue editing in other applications without duplicates. Also, Save as Square Photo, our radically simple one-button solution to share non-square photos to Instagram now gains the ability to inset the photo to provide borders. … and many bug fixes and design improvements throughout.